What is iPhone Update Error 4000? iPhone update error 4000 is an iTunes error that may occur when you are trying update your iPhone via iTunes. The error prevents iPhone from updating and prompts that iPhone ‘could not be updated. An unknown error occurred (4000)’. Fortunately, there are a few things you can try to fix this issue. iPhone update, backup, restore, and many other problems can be quickly fixed via professional iTunes repairing tool called iMyFone TunesFix. You can quickly scan for such issues via this software and fix them by using the Repair button. 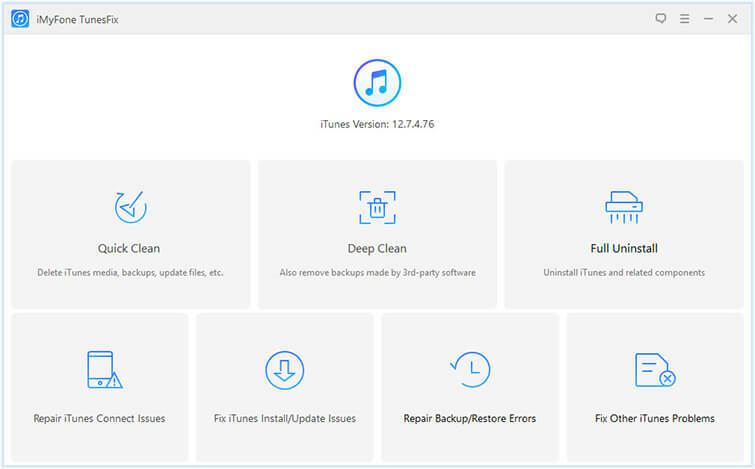 Apart from repairing iTunes, TunesFix is also very useful when it comes to cleaning iTunes junk/temporary files and making sure that the performance of iTunes is optimized. Furthermore, you can use TunesFix to completely uninstall iTunes with a single click for troubleshooting purposes. All in all, iMyFone TunesFix is the ultimate iTunes repairing and maintenance tool that every iOS user should have. Repair 100+ iTunes problems automatically. Scan, detect, and fix common iTunes issues, like error 4000 iTunes quickly via manual repair modes. 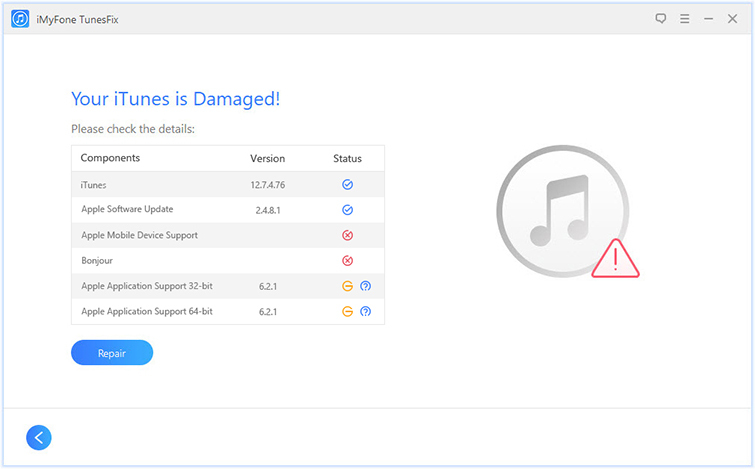 100% safe iTunes repairing; your iTunes data remains untouched when attempting repairs via TunesFix. Boost iTunes performance with a single click. Uninstall iTunes completely and also erase the data traces of iTunes installation files. Step 1: Launch TunesFix and wait for its automatic scanning process to complete. Step 2: If the automatic scanning of TunesFix detects an issue, fix it via the Repair button. If it doesn’t detect any problem, then you will be navigated to the main screen of the software. Step 3: Now on the main interface of TunesFix, select Fix Other iTunes Problems mode. Step 4: Click on the Repair button. It will be displayed on the next screen. Once you click that button, the repairing process will begin. Internet connection may be required to complete the repairing process. This is a simple yet effective solution that may or may not solve the problem. However, some users had success updating their iPhone after restarting their device and computer so it is definitely worth a try. Simply unplug your iPhone from your computer and restart it and also restart your computer. Then plug the iPhone back in and try to update it via iTunes. It is likely that it will be updated without any issues. If you are failing to update your iPhone via iTunes while plugging it into USB port attached to your keyboard or USB hub, then it is recommended that you unplug your iPhone from your computer and plug the cable directly into one of your computer’s USB ports and then try to update it via iTunes. This may seem like an odd solution but it may work and is certainly worth a try. Antivirus programs sometimes conflict with iTunes’ operations. It is likely that your antivirus software is preventing certain processes of iTunes from properly working, hence causing error 4000. So, it would be a good idea to temporarily disable your antivirus and then try to update your iPhone via iTunes. Once your iPhone is updated successfully, enable your antivirus software. It is possible that error 4000 iTunes may be occurring because you have older version of iTunes. To avoid issues such as error 4000, it is recommended that you make sure that you are always using the latest version of iTunes. Step 3: If an update is available, then follow the on-screen instructions to update iTunes to the latest version. 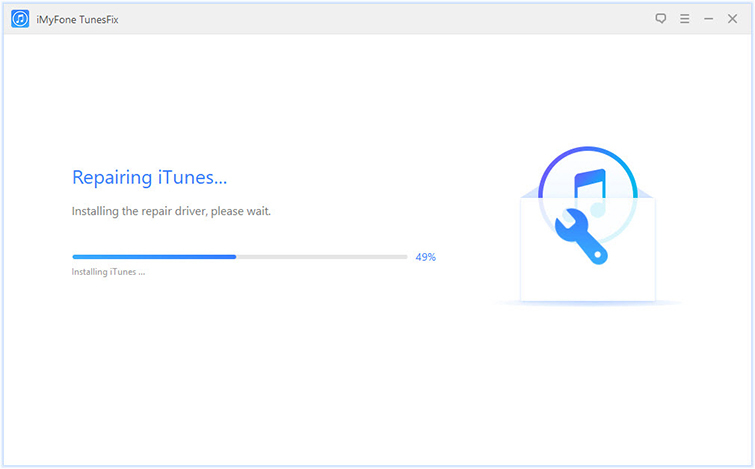 Updating your iPhone iOS via iTunes is a straightforward process. You simply need to make sure that your iPhone is detected on your computer as well as in iTunes properly and your computer is not using Personal Hotspot on your iPhone when updating. Step 1: Connect your iPhone to your computer via compatible USB cable. Step 2: Launch iTunes and select your device. Step 3: Navigate to Summary > Check for Update. Step 4: If an update is found, click on Download and Update option. Then follow the on-screen instructions to complete the updating process.